Ásgeir Trausti throws a mean javelin. Or at least he used to. Seven years ago, when he was seventeen, the Icelandic singer-songwriter held his nation's record for the longest javelin throw. A future as an athlete seemed fairly secure. But a back injury threw a wrench into that dream, and Trausti focused on his second love, music. By 2012, he had the bestselling album in Iceland, Dyrd í dauðathogn, a record of ethereal melody and melancholic meditation. Two years later he recorded his vocals in English and rereleased the album as In The Silence, under the name Ásgeir. It garnered tons of attention and acclaim, and it's easy to hear why; its mix of organic instrumentation, lilting electronics, and Ásgeir's otherworldly voice hits a sweet spot between emotion and mystique. It's a chemistry he's kept bubbling on his follow-up album, Afterglow. Despite its title, Afterglow is no mere echo of its predecessor. Although the new album bears a clear relation to In The Silence, Ásgeir strikes out into quietly bolder territory. On the title track, a jittery piano sets the pace for pulses, glitches, and a pensive verse in which Ásgeir sings of "chasing away the shadows." Although it sets a luminous tone, the shadows creep on "Here Comes The Wave In." "Watching shadows dancing on the wall / Painting you and me before the fall," it begins, and the swells of orchestral ambience and stuttering percussion leave plenty of empty space where Ásgeir dwells on the rhythms of loss. But it's downright cheery compared to "Nothing," a picked-clean skeleton of a song constructed of choirboy vocals and hauntingly submerged keyboards. 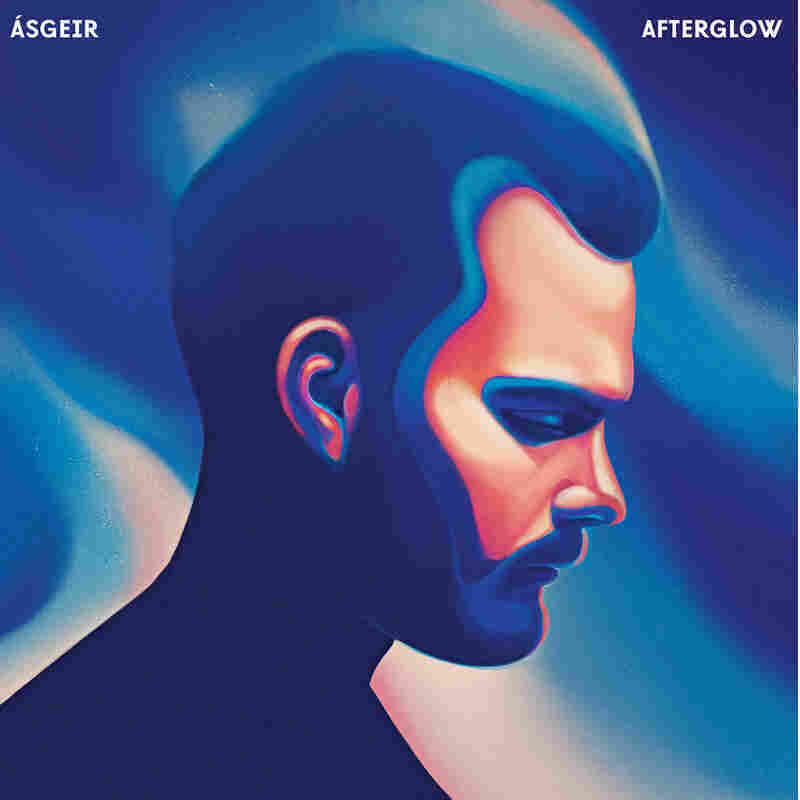 In The Silence left hints that Ásgeir might go on to become a more conventional, guitar-based singer-songwriter, but Afterglow suggests a broader ambition. While never venturing into showiness, tracks like "I Don't Know You" and "Unbound" resequence the record's DNA, splicing in a choppy, jumpy cadence that's jarring and soothing at the same time. It never veers entirely into the realm of experimentalism; instead, Ásgeir's cut-and-paste tendencies are counterbalanced by the soft contours and whispery delivery of "Nothing" and "Dreaming," two songs that bob along on drifting currents of loneliness and oblivion. Throughout, his voice is beckoning and immersive—an instrument that begs the listener to bend toward it. One of the most remarkable things about Ásgeir's prior work is the fact that his father, the poet Einar Georg Einarsson, wrote the lyrics. He's also contributed words to Afterglow, as has Ásgeir's brother Steini. It's an odd choice for a young, international pop star, yet it makes sense considering Ásgeir's childhood in a village of only forty people. There's a tight-knit intimacy and soulfulness to the album that feels familial and warm, even as the music itself carries a glacial chill. There's nothing conventional or expected about Afterglow, an album that submerges all ego and blissfully loses itself in oceanic imagery and crystalline soundscapes. At the same time, the songs are instantly familiar, like old friends, departed loves, or bittersweet remembrances. Ásgeir may no longer be hurling record-setting javelins, but in a gentler way, his songs soar even farther.